Anna, Moana, Tiana, Merida, Elsa, Ariel, and Rapunzel have a group date this weekend. And they want to wear an outfit with a rainbow theme. 7 girls for 7 colors of the rainbow. It’s going to be fun. 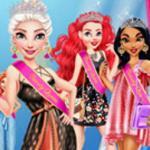 Let’s challenge your taste of fashion by mixing and matching 7 unique outfits at Friv3play girls games. 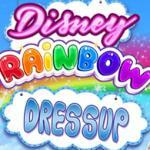 Disney Rainbow Dressup is one of the best dress up games suit all ages. 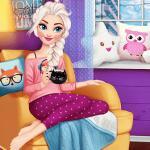 It not only brings you joy but also helps you have some ideas about fashion. With stunning graphics, beautiful characters and awesome gameplay, you won’t want to leave the game until you discover all styles. 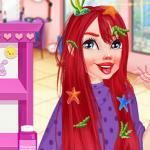 On http://friv3play.net/, Anna loves red. Moana opts for orange, Tiana likes the yellow dress, Merida is crazy for green, Elsa is the queen of snow, so she loves blue, Ariel thinks she suits indigo the best and finally Rapunzel looks great on purple. Now, you know each princess’s favorite color. You just need to create the best combination for each of them. They own a huge collection of outfit and accessories. If you find it hard to decide which one is great for them, you can let them try on all outfit and accessories. However, you are able to discover all styles in the first time play but you have to play several times to explore tons of combinations here. 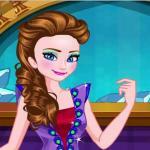 Play anytime you want and feel free to try different styles. 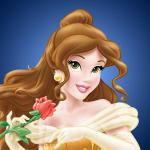 7 Disney princesses are satisfied with your choice and they are ready to go out and have fun. What about you? 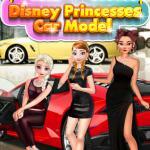 Enjoy more funs with these stunning princesses in Disney Princesses Autumn Outing and Elsa's Style Week. How to play: Enjoy the game by using your mouse.